Tailored, traditional and amazing – welcome to the world of That’s Not Fair London. 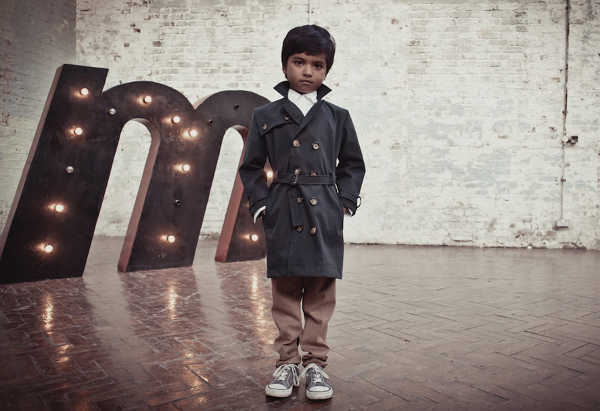 We gave you a sneaky look at this beautiful brand in our Playtime Paris fashion wrap earlier this year. 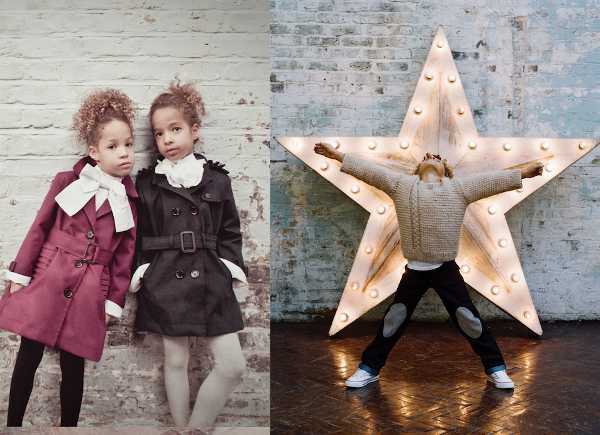 We’re thrilled That’s Not Fair London has now officially launched, and this fabulous wardrobe of incredible children’s fashion is now available worldwide. The first collection from That’s Not Fair London includes traditional gabardine trench coats and hand knitted pure wool jumpers. The point of difference is that they’re made using the same attention to design and detail as is used in adult tailoring. The label has tried to cover all bases with this collection, including everything from tights, jeans and t-shirts to dresses, shirts and outerwear. The classics have been given a fresh look, with details like jackets with detachable sleeves, tailored shirts with detachable bow ties and Victorian ruffles. But just because these beautiful pieces look too good to play in, it doesn’t mean kids can’t relax when they’re wearing them. The fabrics the garments are made from are in keeping with those who are wearing them – kids. Machine washable wool and baby fine corduroy are used in many of the pieces, with the aim of looking great, with the ability to withstand some rough housing. The price points are very reasonable for such amazing quality, with girl’s classic trenches priced at £132, and the boy’s cable knit jumper retailing for £124. You can order directly from That’s Not Fair London, and shipping to Australia is available.